Game wardens in Wisconsin work for the state’s Department of Natural Resources and are known as conservation wardens. Wisconsin boasts a variety of protected areas including forest, prairies, lakes, and rivers. In fact, forests cover almost half of the state, which also has more than 11,000 miles of lakes and rivers. Therefore, Wisconsin’s conservation wardens enforce regulations in a large diversity of habitats. More than 600,000 deer licenses are sold each year in Wisconsin. The large number of deer also draws poachers, and apprehending them is one of the key duties of these wardens. In addition to their law enforcement duties, Wisconsin’s conservation wardens also monitor the health of fish and wildlife in their natural habitat and are the public face of the Department. This diversity of duties requires a wide breadth of knowledge ranging from skills in law enforcement to an in-depth knowledge of the biology and ecology of Wisconsin’s natural resources. Combining these different roles is highly challenging, but many people seek this challenge and through their hat in the ring to become conservation wardens. Applicants with a thorough knowledge of the requirements and application process to become a warden for the Department are better able to present their experience and knowledge when they apply for these jobs. Read on to discover how to best prepare for the application process in Wisconsin. Although their primary job duties involve managing fish and game regulations, Wisconsin’s conservation wardens also may be called upon to enforce any state law. The diverse set of skills required indicates that applicants should be well prepared and expect intense competition. Applicants who can assertively promote their expertise and relevant skills will be better equipped to face this competition when they apply for a job as a conservation warden. Citizenship: Proof of U.S. citizenship or of permanent resident alien status for those who are eligible and have applied for citizenship. Must be a Wisconsin resident at the time of hire. License: A valid Wisconsin-issued driver’s license is required. Individuals must agree to participate in driver safety training opportunities through the state as they arise. Academic Credentials: High school diploma or GED is required. A minimum of 60 credits from an accredited university or college with a concentration in natural resources, environmental protection, law enforcement or related fields is required. Hearing: The applicant must have ‘normal’ long distance, directional, and voice conversation hearing. Vision: Vision corrected to 20/20 in each eye. Normal color vision with no other conditions is required for the role. Wisconsin’s conservation wardens earned an average salary of $51,390 ($24.71/hour) as of 2015 according to the state’s Department of Workforce Development. The median was virtually the same at $51,430 ($24.72), while experienced wardens earned an average of $57,740 ($27.76). 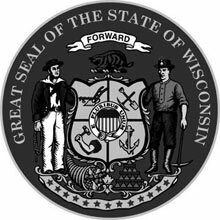 The State of Wisconsin Division of Personnel Management provides the full range of salaries, from a minimum of $45,864 ($22.05/hour) for entry-level wardens with minimal education and experience to a maximum of $67,080 ($32.25/hour) for those with years of experience and strong credentials.